A gift to the USF Libraries impacts all students regardless of their major or interests. By supporting the Oral History Program and the USF Libraries, you will help continue to make the Library the research and learning hub of the University that drives student success. 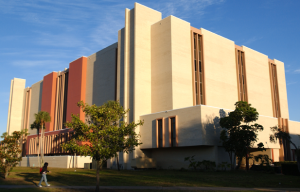 The USF Libraries rely on private support including gifts from alumni, parents and friends, as well as grants from corporations and foundations – to support every aspect of its mission as a multi-campus, national research university strongly committed to the balanced pursuit of excellent teaching, significant research, and useful public service. Your gift no matter how small can make an impact. To make a gift online to support to support the Oral History Project or the USF Libraries, click on the links below.